Camshaft Adjustment Solenoid for N12 and N16 Engines from 2007+ MINI Cooper Non S R55 R56 R57 R58 R59 R60 R61. 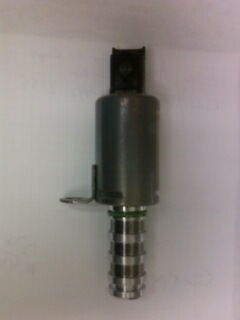 WMW has already replaced several of these solenoid valves. Our theory is it has to do with the long intervals on the oil changes. When these camshaft solenoid valves fail you may not always get a check engine light but you will notice a dramatic reduction in power as the timing is not changing correctly. These Cam adjustment solenoid valves are the same for the intake and exhaust.